Are you a freshly minted Open Water diver, having just completed an accredited Open Water SCUBA diving course? Welcome to the SCUBA family! You are probably now wondering where you can go practice your diving skills in the great state of Oregon. We have compiled a list of what we think are the five best Beginner SCUBA diving sites in the entire Beaver state. As we continue to explore SCUBA diving sites in Oregon, we will periodically update this list. At the last time of editing this page, the five beginner SCUBA diving sites listed below are the best that we have found where an Open Water Diver can go have fun and get more comfortable with our big blue watery world. If you have suggestions of other beginner sites, please let us know in the comments below! If you were certified in Oregon from any of the shops in the Willamette Valley, there is a good chance that you may have already gone diving at Woahink Lake. The east boat ramp is a favorite training site. On the western side of the lake, there is a small boat ramp that is sometimes used to launch boats that don’t need to be towed into and out of the water. This site is also very special because of the wide range of interesting things that have been left underwater by other divers. Highlights include a toilet, a yellow submarine, bicycles, and an entire KISS concert. Yes, that’s right. There is an entire KISS concert waiting to be discovered underwater at this beginner SCUBA diving site. Check out our dedicated write-up on the Woahink Lake west boat ramp for a site map and more details. The rock formation along the road and train tracks just south of Garibaldi on the Tillamook Bay is known by several names including Crab Rocks and also the Three Graces. Whatever you call these rocks, they’re a great dive site for beginner SCUBA divers to hone their navigation skills and buoyancy. The tidal exchange here creates some interesting currents that can be mildly disorienting which makes for a good environment to hone your compass skills and landmark navigation. As you become a more skilled SCUBA diver, this site offer up good crabbing opportunities and great spearfishing as well. If you talk with the folks at the Oregon Coast Scenic Railway very nicely, they might even be talked into dropping you and all of your SCUBA gear off via a steam train! Check out our write-up on the Crab Rocks / Three Graces dive site for information on max depth, conditions, and more. Beginner SCUBA diving sites can be found all over Oregon. Divers in southern Oregon know the sites around Applegate Lake well but those from the Portland metro area and the Willamette Valley may never have heard of the lake or the Copper Boat Ramp. 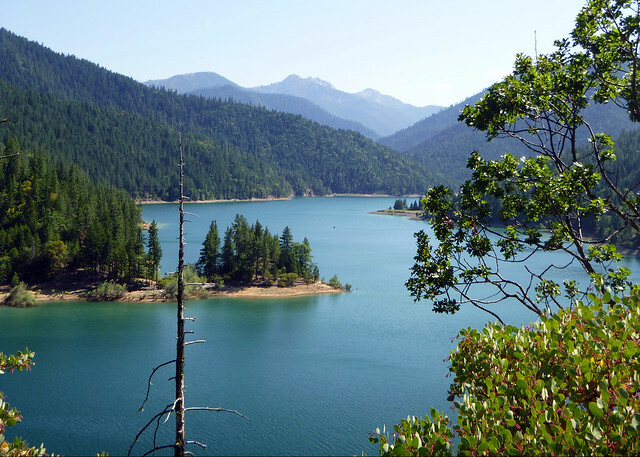 Taking a weekend to go down to southern Oregon and dive in Applegate Lake is well worth the drive for beginning divers. While the lake can be quite deep in spots, the Copper River Boat Ramp is accessible to SCUBA divers who have recently become certified. The easy entrance and exit along the boat ramp makes this an enjoyable place to dive. Just make sure to fly a dive flag (we have one we recommend) when diving here. For detailed information about the Copper River Boat Ramp at Applegate Lake, be sure to check out our write-up on the dive site. Beginning SCUBA divers often don’t think about the many rivers in the Oregon Cascades but there are many good dive sites throughout the mountains. However, many sites in the Cascades count as altitude diving sites that require special altitude diver training. Based on the PADI standards that we are familiar with, Big Pool Swimming Hole on Fall Creek is just below 1,000 feet and thus counts as a regular dive. Being just outside of Eugene makes this a good place to do a quick dive after work or to spend a day coming down from Portland or over from Bend to do some diving. 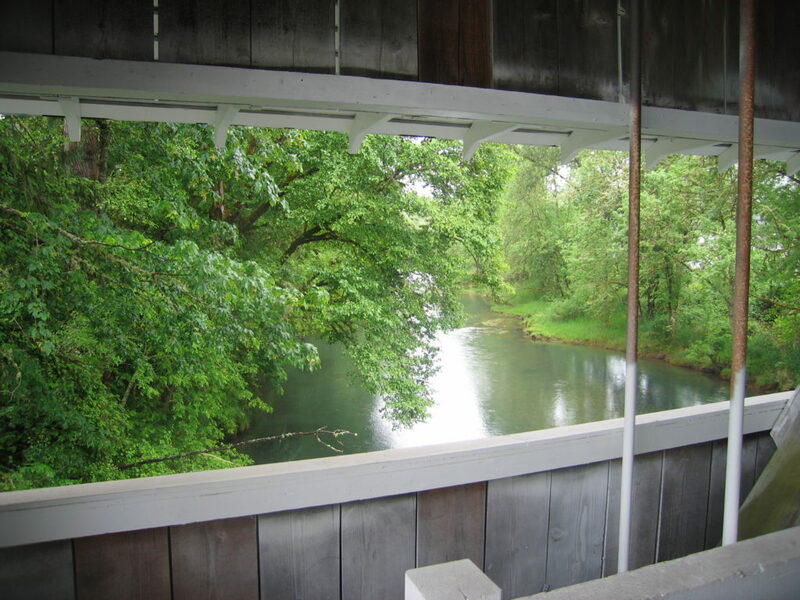 While this site is good in summer and fall, in the winter and spring, water levels can be sufficiently high that the site isn’t very fun to dive. However, especially on hot days in the summer, it can become very crowded with swimmers which makes it hard to get into the water in full SCUBA gear. In spite of these issues, this is a great little beginner SCUBA diving site that is well worthwhile to check out as a certified open water diver. The site is relatively small and quite interesting to go slow while exploring. Check out our full write-up on the Big Pool Swimming Hole on Fall Creek to get all the details. In our opinion, the best beginner SCUBA diving site in Oregon is the SCUBA park on the Florence north jetty. This dive site is very popular with SCUBA classes and advanced divers alike. The very easy entrance and exit, which we believe is the easiest on any jetty in Oregon, the good crabbing in Crab Hole, and the fun areas to explore along the base of the jetty keep us coming back to this site again and again. 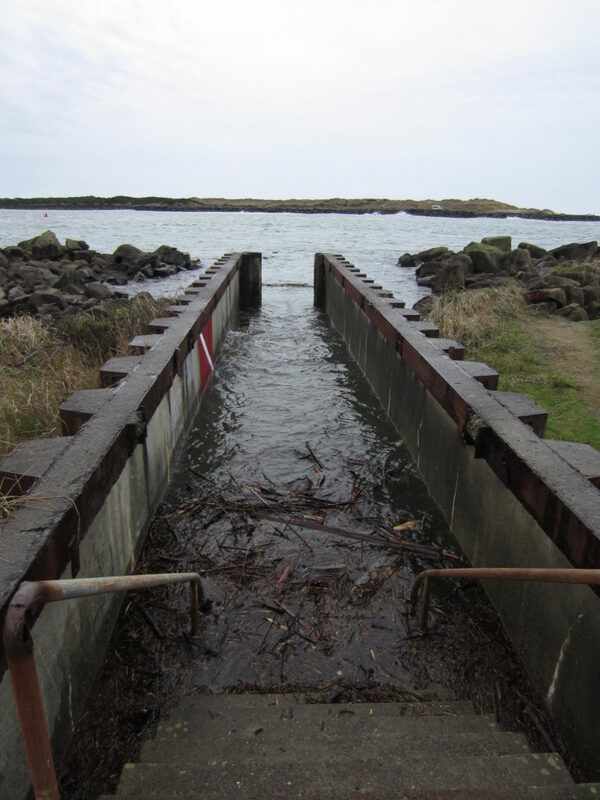 The Florence north jetty SCUBA Park entrance which we think is the best beginner SCUBA diving site in Oregon. Divers who have just been certified will find this dive site to be a good mix between mild conditions and somewhat challenging tidal currents. Diving with the tide is necessary for beginner divers. A little bit of planning will make sure that beginning divers have a great time at the SCUBA park on the north jetty of the Siuslaw River in Florence. Check out our write-up on the Florence North Jetty SCUBA Park for all fo the details on this great dive site. If the five best beginner SCUBA diving sites that we reviewed above aren’t enough for you, check out our long list of dive sites in Oregon that are accessible to divers who have just finished their open water SCUBA certification. If you have any suggestions for other dive sites that are accessible to beginning divers in Oregon, please let us know!